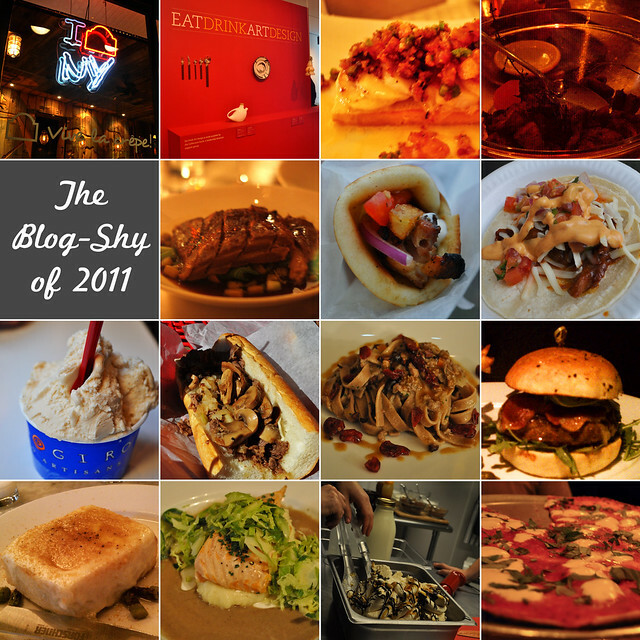 Just like I did for 2010, I wanted to create a post detailing some of the dishes I had during 2011 but failed to blog about it in Four Tines and a Napkin. These were the most memorable to mind, as there were times I felt I was definitely eating faster than I could write (though I must say that I did much better of managing this in 2011 than I had in 2010 -- 102 posts versus 81 posts, respectively)! As I know I will say this every year, one of my resolutions for 2012 is to make sure I don't fall too far behind on blogging and updating Four Tines. Busy season in the bean counting world has already commenced, so I will do my best to keep up! In the mean time, here are the ones that "got away" --- the ones that were shy (I call it "blog-shy" -- kinda like "camera-shy") of making the cut.